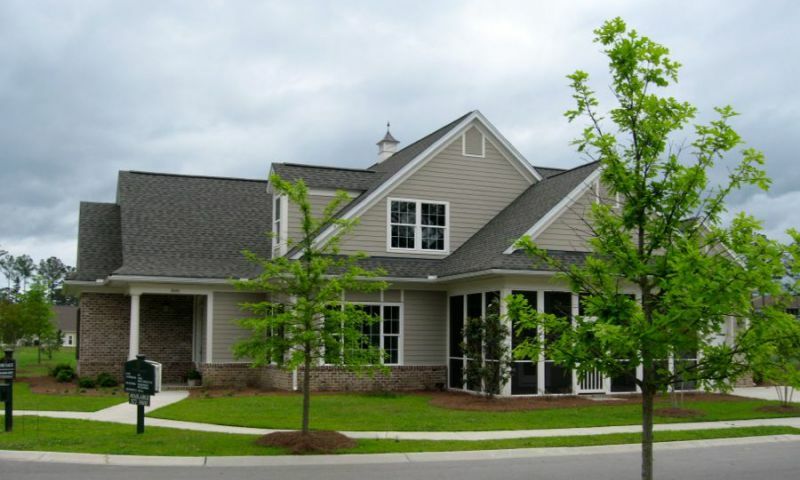 Liberty Cottages at Park West is a community for adults aged 55 or better, located among serene marshlands in Mount Pleasant, South Carolina. This luxurious community is the only age-restricted community of the 20 neighborhoods that make up the larger Park West master plan, which offers all the conveniences and amenities of an individual town. Located only minutes from beaches, Isles of Palms and Sullivans Island, Liberty Cottages is a haven for sun lovers and outdoor enthusiasts. This gated community features cottages with spacious floor plans, designed for independent first-floor living. All exterior home maintenance and yard work is taken care of, so residents will have plenty of time to enjoy life. Even basic interior maintenance, such as replacing light bulbs and smoke alarm batteries, is included. Residents of Liberty Cottages at Park West have access to the amenities of the nearby Somerby at Mount Pleasant retirement community. This membership is optional. At the Park West Swim and Tennis Club, residents can enjoy tennis, volleyball, a children's playground and pools for kids and adults. The multi-purpose swimming pool has an in-pool volleyball court at one end and a zero-entry point at the other. Adjacent to the pool sits the community clubhouse, which has standing room for 120 people. The Park West subdivision also offers boat storage, a bank, a veterinarian, fitness facilities, dentist office, urgent care doctor office, a hair salon, and plenty of dining options. Six miles of bike and hiking paths wind their way throughout the community. Homes at Liberty Cottages at Park West cater to refined tastes of homeowners. Construction started in 2008 and is ongoing with new homes available until all 43 planned residences are completed. There are five single-family floor plans available that range in size from 2,746 to 3,148 square feet. All homes come with screen porches, granite counter tops, hardwood floors, 10 foot ceilings, 42 inch cabinets, crown molding, and black or stainless appliances. These brick front homes feature cement boards on the sides, generator hook up, hurricane shutters on some windows, and single or double garages. Liberty Cottages is conveniently located to Park West shops, the Mount Pleasant Towne Center, Daniel Island, Isle of Palms, and Sullivans Island. Charleston, South Carolina is only a couple of miles away from Liberty Cottages and offers many choices for dining, shopping, and entertainment. Some noteworthy attractions are the South Carolina Aquarium, Magnolia Plantation and Gardens, Drayton Hall, James Island County Park, Gibbes Museum of Art, and Morris Island Lighthouse. The Park West Business Center is home to many retail outlets and daily conveniences. Check back soon for more information on the lifestyle in Liberty Cottages at Park West. Detached cottage-style homes are available on a new and resale basis. Homebuyers can select a home that ranges in size from 1,804 to 2,148 square feet. These homes offer three or four bedrooms, two three bedrooms, and attached two-car garages. Optional second floors are great for extra entertaining areas or living spaces for guests. 55places.com is not affiliated with the developer(s) or homeowners association of Liberty Cottages at Park West. The information you submit is distributed to a 55places.com Partner Agent, who is a licensed real estate agent. The information regarding Liberty Cottages at Park West has not been verified or approved by the developer or homeowners association. Please verify all information prior to purchasing. 55places.com is not responsible for any errors regarding the information displayed on this website.